Nowadays for competitive hot metal production at a Blast furnace it is necessary to realize a high pulverised coal (PC) injection rate at a minimised coke rate. But actually there is a lack of real time analytical technologies to obtain reliable short time information of the actual composition of pulverized coal blend which is injected into the blast furnace (BF). A real time analysis of the pulverised coal blend opens up the opportunity to detect unexpected or prompt deviation in coal blend composition. It enables to run an optimized total BF fuel rate, a reduction of fuel cost for hot metal production and subsequently decreasing CO2 emissions. 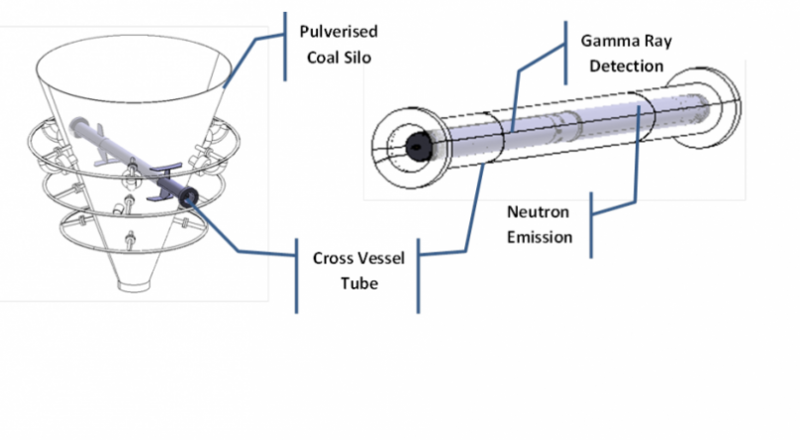 Within the project the Pulsed Fast and Thermal Neutron Analysis (PFTNA) technology designed as borehole logging tool will be modified and applied in a closed silo of a pulverized coal injection (PCI) system. BF trials for real-time analysis of coal composition to adjust the coal injection rate near time will be performed. 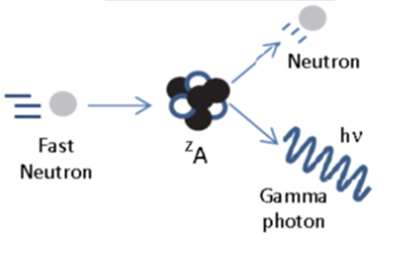 The PFTNA-technique takes advantage of a switchable pulsed neutron generator for emission of fast and thermal neutrons and a gamma ray detector which record the characteristic gamma photons generated by interaction of the emitted neutrons with the nuclei of the surrounding coal material. It delivers characteristic spectra as basis for determination of the PC composition. Additional the real time spectra will be processed by fingerprint analysis software (pattern recognition). The analysis is based on statistical data evaluation of the gamma spectra and delivers the operator principle parameter of the PC for Blast furnace optimization. The main objective of this project is to demonstrate the high benefit of the real time analysis of coal composition for industrial application in better adjusting/controlling the pulverised coal injection rate and improve the production process. decrease CO2 emissions by reduced total fuel rate and improved process control. The new technology shall be demonstrated at the pulverized coal injection plant of a BF at tk SE. Finally, a concept will be set up for the implementation of the PFTNA technology and the real-time data evaluation at European blast furnaces. The adaption of the neutron probe and the software as well as inhouse calibration: The PFTNA probe will be adapted for the implementation in closed silos of an injection plant of a tk SE blast furnaces. The adaption comprises the optimisation on the signal detection with respect to the construction material and probe design via simulation. Also a safety concept for applying the neutron probe will be set up. The finger print recognition software will be modified as support tool for the blast furnace operator and implemented. After adaption a primary inhouse calibration of the neutron probe using pulverised coal analysis as reference will be carried out. Calibration rig in pilot scale: To obtain a reliable calibration of the neutron probe in industrial scale a calibration rig in pilot scale will be engineered and set up. The pre calibrated neutron probe will be used for calibration trials with defined coal and coal blends to obtain an industrial calibrated neutron probe. Application at Industrial scale: The developed PFTNA probe will be installed and applied in a closed silo of the tk SE pulverized coal injection plant at a blast furnace. The results will be compared to standard analysis. The finger print recognition software will be proved by the operator to an optimized utilisation of PC at the BF. On the basis of the gained experiences and the results a concept for the implementation of the PFTNA technology and the real-time data evaluation at European blast furnaces will be set up.